It certainly is and it looks even better in the flesh. 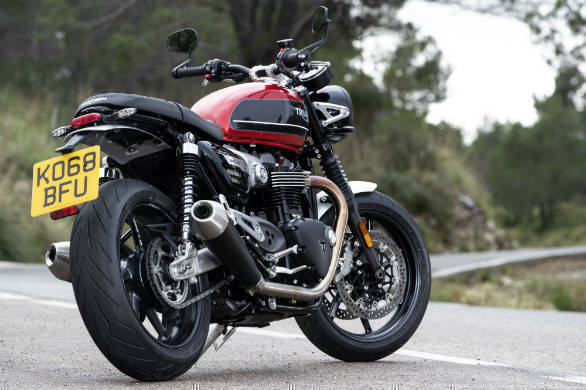 To me, its appeal lies in its simplicity and no matter what angle you look at the Speed Twin, it arrests you with its overflowing charm. And then there's the attention to detail that bowls you over. 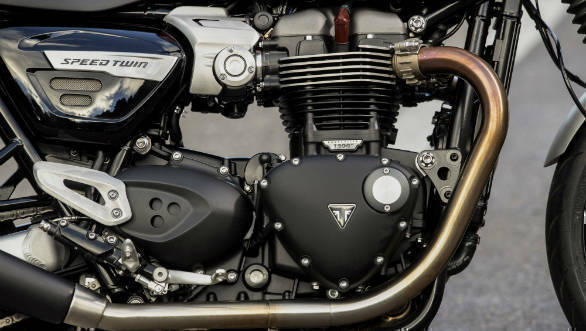 The headlamp has a neatly integrated DRL ( a regular feature on Triumphs, of late), the brushed aluminum fenders look fabulous while the chunky tank, with hand painted pinstripes occupies pride of place in the entire scheme of things. 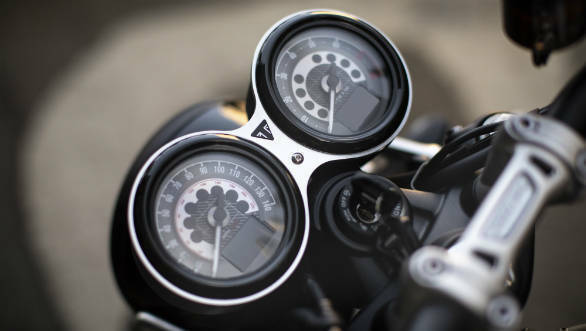 In keeping with the retro theme of the Speed Twin, Triumph ditched the temptation of incorporating a TFT instrument cluster and instead chose a beautifully detailed, analogue, twin pod unit. 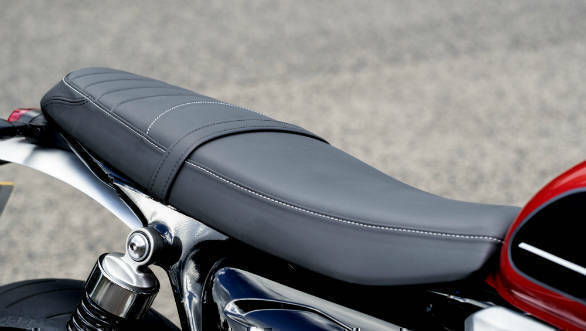 The fit and finish is excellent and something that we've come to expect of Triumph's Bonneville range. 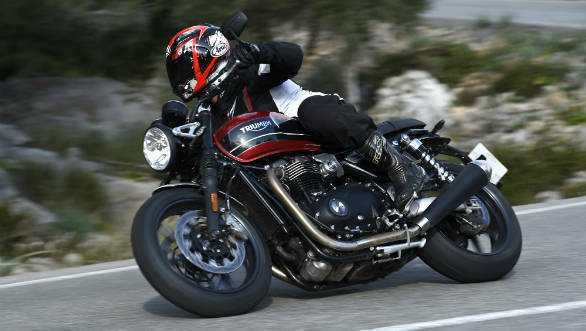 In all, the Speed Twin's design oozes charm and certainly won't lose it's sheen, even after a few years. 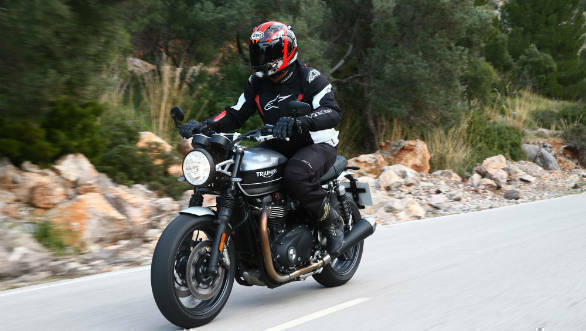 Power delivery is smooth and linear and when you give it the beans, the Speed Twin charges ahead relentlessly, in a manner that can get addictive. I think the throaty roar from the twin, megaphone exhausts has something to do with that as well but on the whole, I like how the engine simply adds to the Speed Twin's character. 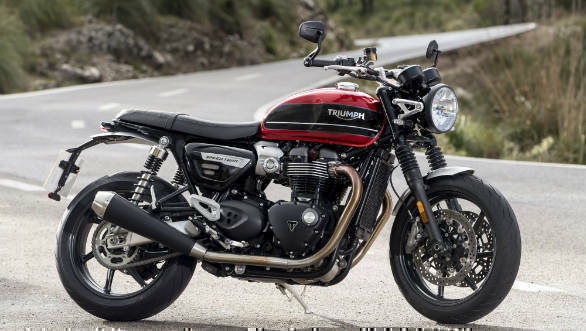 Besides the light frame and engine its the lightweight cast alloy wheels that helps reduce inertia, making it quicker to turn in the bike. 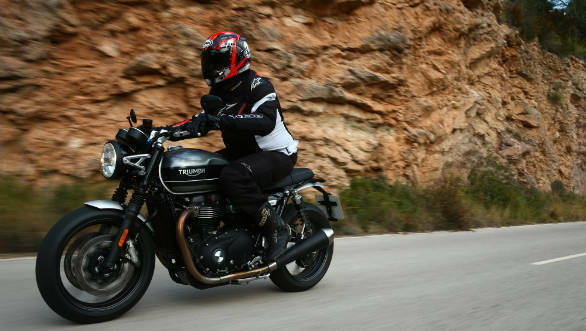 The rake angle (22.8 degrees) is a mere 0.1 degree forward than the Thruxton's, which again translates to a sharp steering. 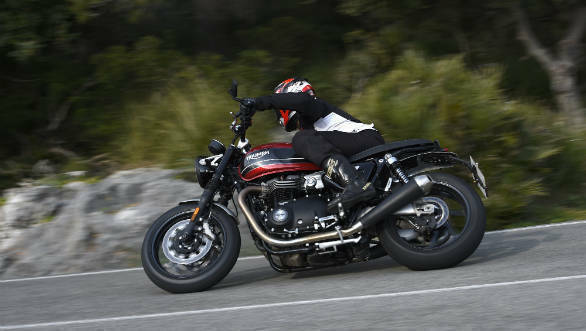 But, in order to ensure stability the wheelbase has been extended by 15mm, by means of a long chain and not by extending the swingarm, as one might presume.